The Georgia Aquarium, neighboring the renowned World of Coca-Cola and Centennial Olympic Park, completed Atlanta’s tourist scene in November of 2005 with its Grand Opening. 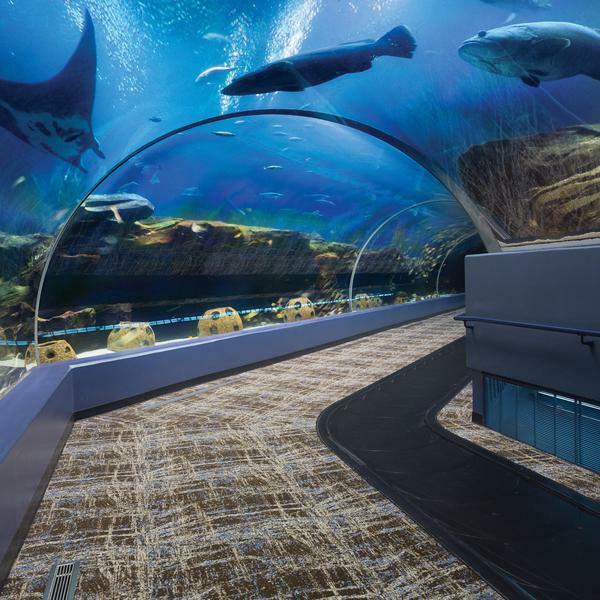 The creation of the world’s most magical aquarium owes credit to Bernie Marcus, co-founder of The Home Depot, for gifting $250 million to Georgia. This incredible donation to the community allowed the aquarium to open debt free and begin the journey to educating and entertaining the public. 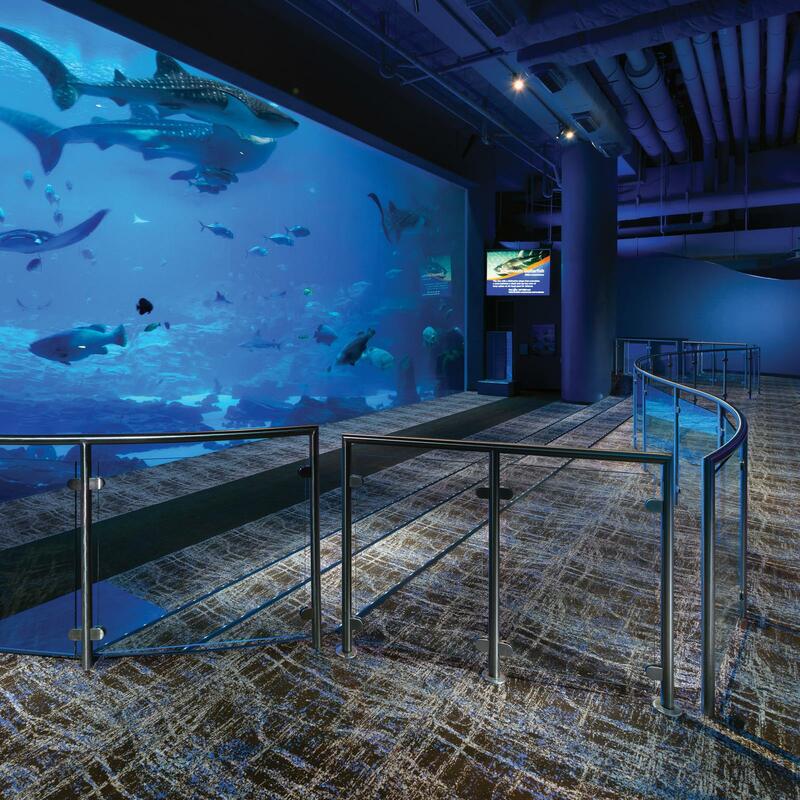 The Georgia Aquarium is equally dedicated to its conservation efforts, with programs like The Georgia Aquarium 4R Program, The Blue Realm Project (Ch’ooj Ajauil AC), and the Seafood Savvy Program. BoggsVickers Architects truly enjoyed working with Brintons to develop the unique carpet designs for the Georgia Aquarium project. 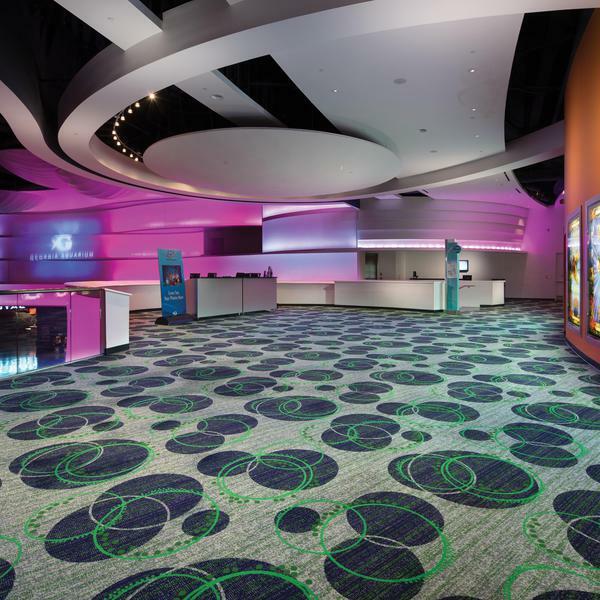 The carpet designs not only needed to be aesthetically complimentary to the exhibits, but also needed the ability to withstand the abuse of extremely high-traffic scenarios. 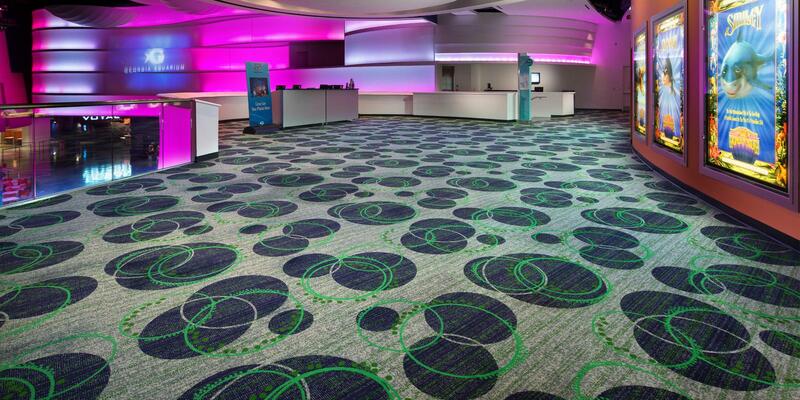 We were impressed with the versatility offered by Brintons' capability to create the custom and intricate color ways typically seen in broadloom, in a tile product. This capability and the expertise of Amy LaGuire (Brintons) created a seamless process yielding exceptional results.